The NEW Hollow Earth Insider » THEI Eyeballs the Resistors Part 3: The MOTHER of all Conspiracy Researchers Mae Brussel. Originally broadcast May 19, 1975. Topics: FBI False Flags…Pershing Gervais and the Attempt to Frame Jim Garrison…Arthur Bremer & George Wallace. Originally broadcast August 1, 1983. Henry Kissinger, NARCOTICS EMPEROR. From WWII, Klaus Barbie, to 1983, Barbie the “COCAINE KING” OSS, CIA, Nazi route for Nixon, Reagan, Warren Commission staff, to John DeLorean, and 20th Century Fox-Marc Rich-Chris-Craft. How the COUPS help the narcotic traffic. Hollywood and White House. Originally broadcast February 21, 1977. Topics include the death of Freddie Prinze, deaths of rock musicians, Mae’s “Operation Chaos” article. 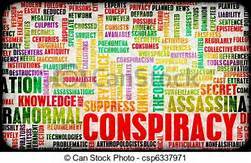 The above is just a small sampling of the many conspiracies and information that Ms Brussell documented in her many years of trying to wake up our citizens to the nefarious plans and the criminal element of secret societies and NWO minded officials and what they are silently doing in their steady movement towards the overthrow and destruction of our constitutional freedoms.